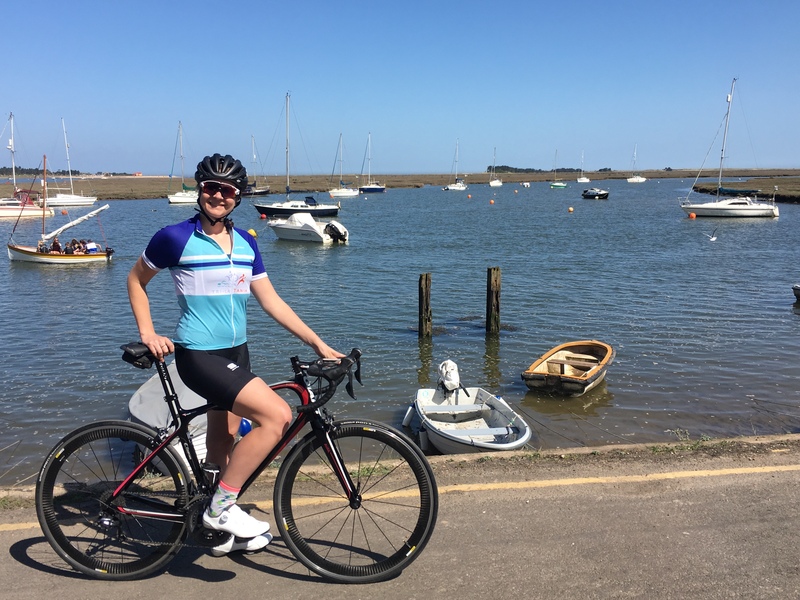 There is something so nice about being by the seaside and I love it when I can ride my bike to the coast. 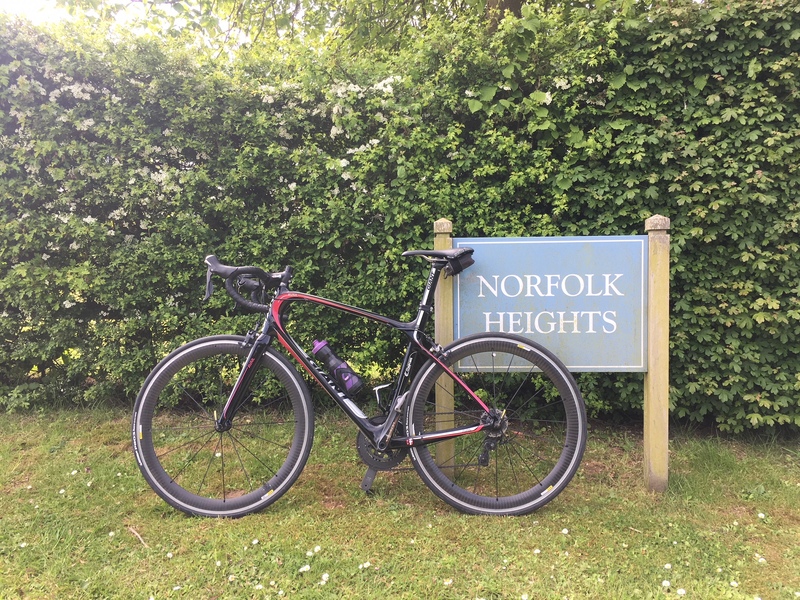 I was lucky enough to spend a week in Norfolk and enjoy some of what the east coast has to offer. So I planned to try and get some good rides in, bearing in mind I have Tour of Cambridge gran condo coming but also Ride London 100 coming up this year. Other people may go to the French alps or Mallorca for their training camp but when you’re in the middle of an ex council house renovation project, there is no such luxury! So I headed to the flatter lands of Norfolk and our base for the weekend was a beautifully positioned caravan belonging to my Aunty Shirley and just a stones throwaway from the beach, perfect. …when the sun shines on holiday by the seaside, it’s just lovely! Anyone who tells you that Norfolk is flat is not being truthful! It’s not one for large hill climbs but everywhere seems to be a slight drag. We were blessed with some of the best weather you could ask for in the UK and when the sun shines on holiday by the seaside, it’s just lovely! Here is a little more about the trip. 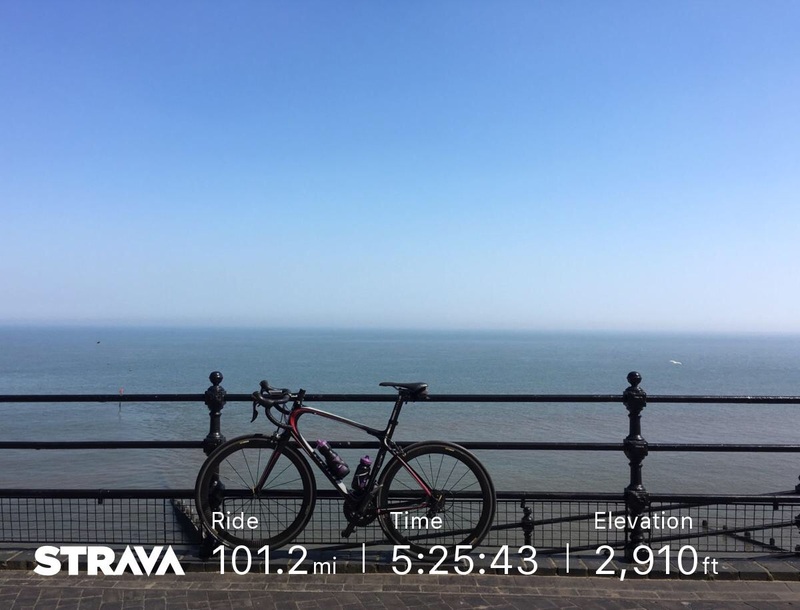 I was keen to ride a century whilst away, this route followed the coastal road all the way from Snettisham down to Cromer, time for a cup of tea and a scone and then head back along the coastal road. I was then still about 12 miles short and so had to ride a couple of laps round a local newly found ‘finishing circuit’ but I forgot how nice it is to see 100 miles pop up on my Garmin. Otherwise a nice little test for my new cycling shoes. They felt awesome, definitely the best pair of cycling shoes I have had! Lesson learnt: Fuelling and pacing is key! I should have learnt this in my 3 /4 years cycling experience but I still managed to mess it up and was struggling come 60 miles. I think this may have come down to riding on my boyfriend Carl’s wheel and averaging 22mph for the first 30 miles before calming down a little. 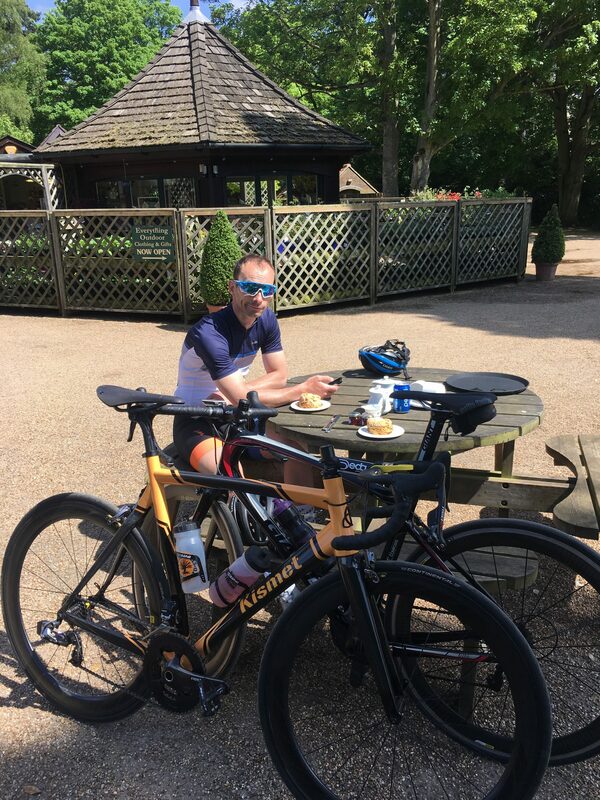 His century pace is not my century pace and whilst I give it a good go I was paying for it later, hence after 60 miles telling him to please leave me and I rode home at a more sensible long distance pace. Much more enjoyable! We visited some lovely cafes and places but Creake Abbey stood out as one of our favourites. 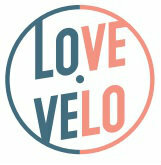 It’s not somewhere you could visit every weekend on you club run unless you’re earning a little more cash that myself! However I loved it here, we even visited twice. Earl grey for two, poached egg, bacon and avocado on sour bread (one without the avocado), lots of space for bukes and with bike rails. It’s always nice when places are outwardly cycling friendly and a lovely scenic spot too. Well worth the visit and I could have spent some money in the deli too and the lovely little shops. A great spot! Again its not the cheapest at Sandringham Estate, tea and scones for two £14 – I know, a proper training diet! 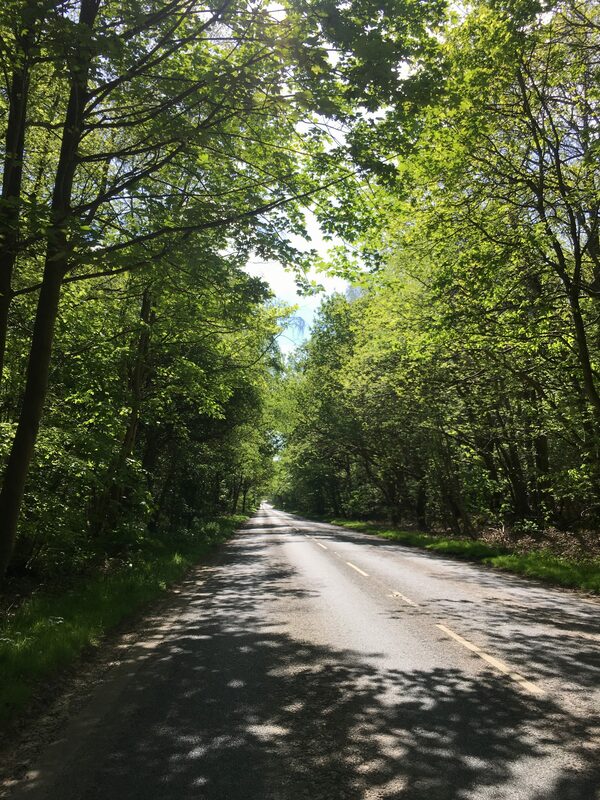 However more lovely surroundings though, lots of space for bikes and the roads around the Sandringham estate are some of my favourite to ride on for lovely scenic views. I rode just short of 300 miles throughout the week, but when you have time to rest in-between training it’s so much easier. I guess that’s the main thing for pro riders, when you have the time to rest and recover, rather than slotting in training here and there between a full time job. Ah and it was nice to enjoy some sunsets, bbq’s and a couple of ciders! So a lovely week, lots of cycling, lots of exploring and blessed with beautiful weather.